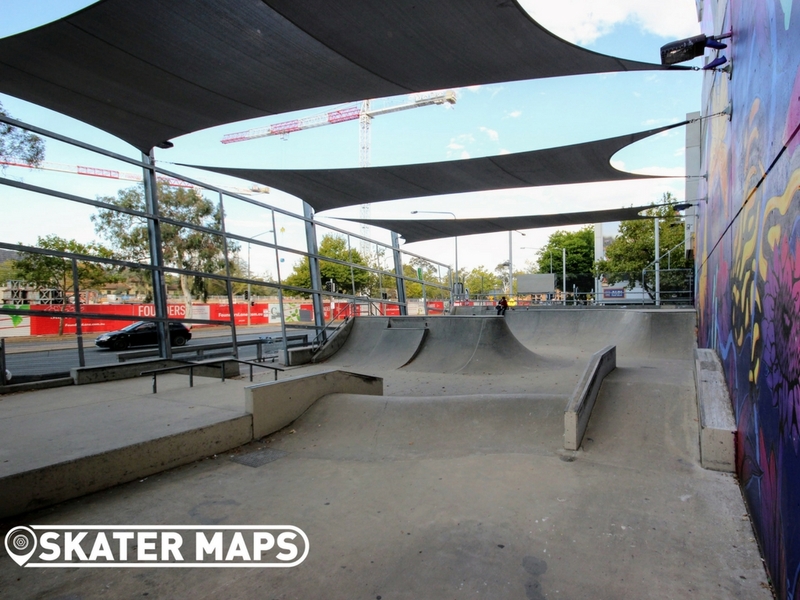 Built by Convic, The Yard Skate Park makes the most out of a small space by jamming in heaps of features and obstacles. 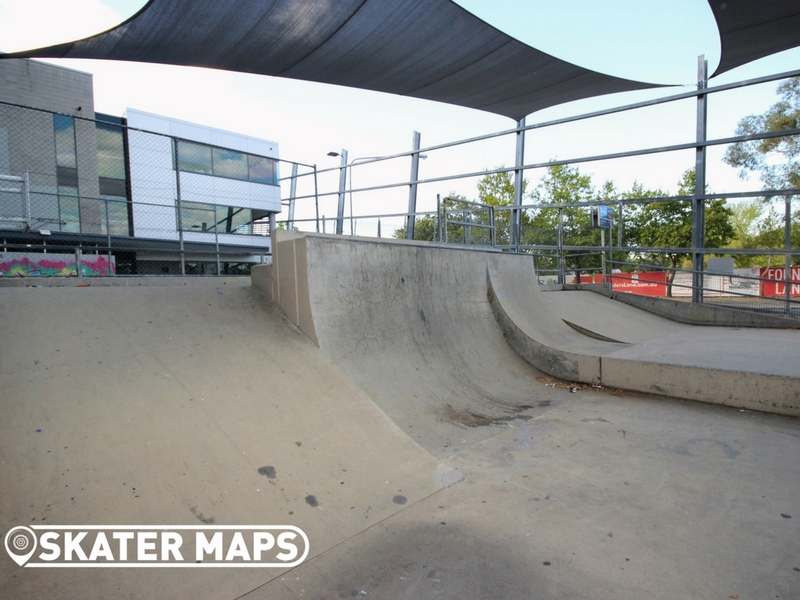 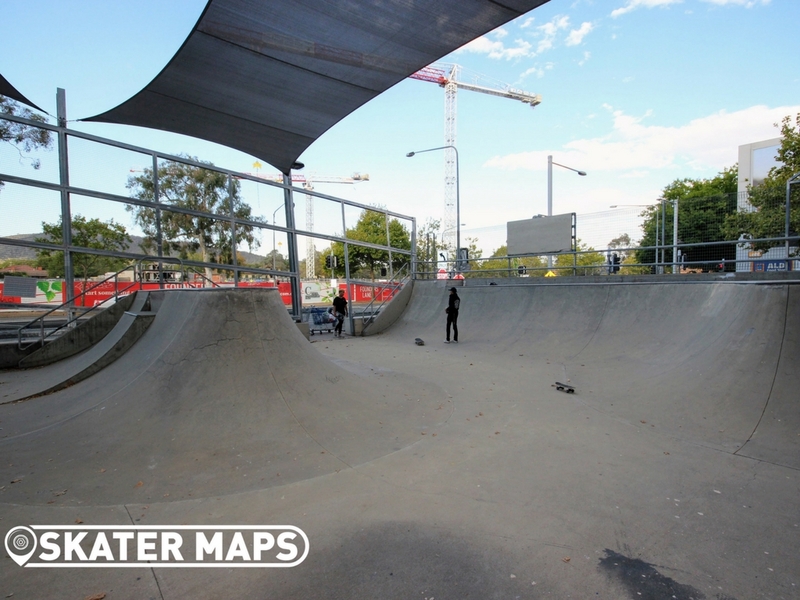 It is the only skatepark in the centre of Canberra and a rad place to skate / hang out. 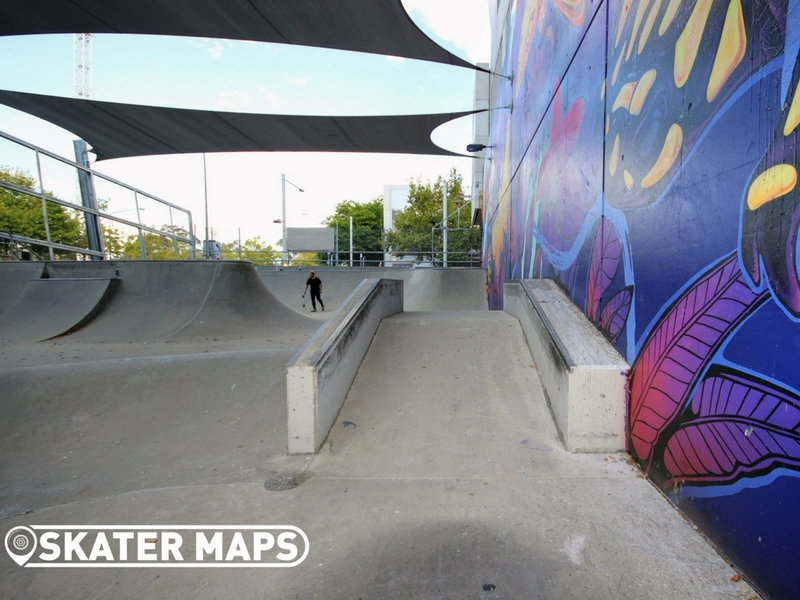 Located next to the small skatepark is an even smaller basketball court that joins into legal graffiti walls. 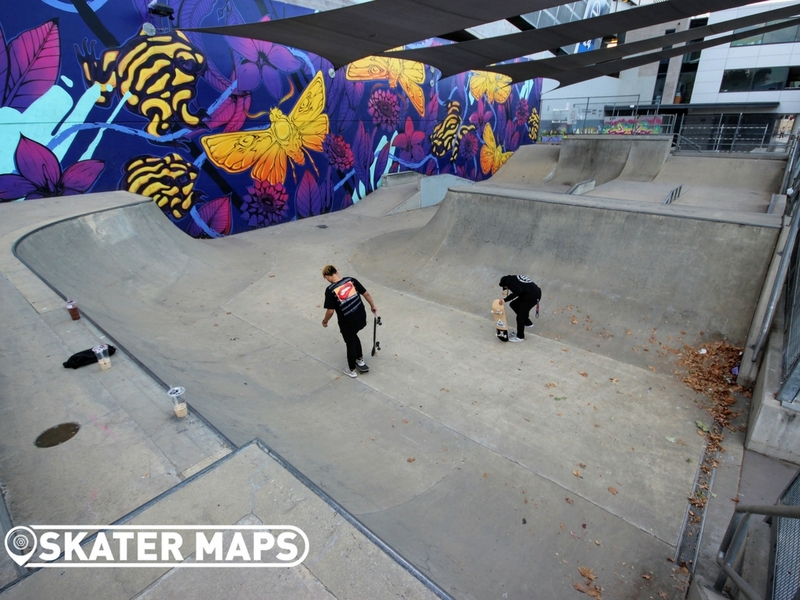 It is a nice contrast to see epic artwork on the walls and nothing on the skatepark. 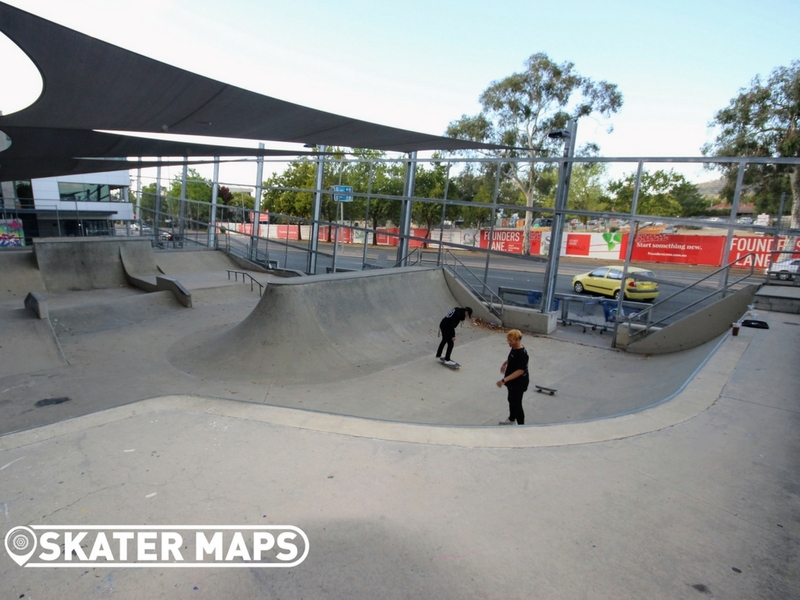 Great vibes at The Yard Skate Park with lots of friendly people dropping in for their first times along with local shredders who call this park their home away from home. 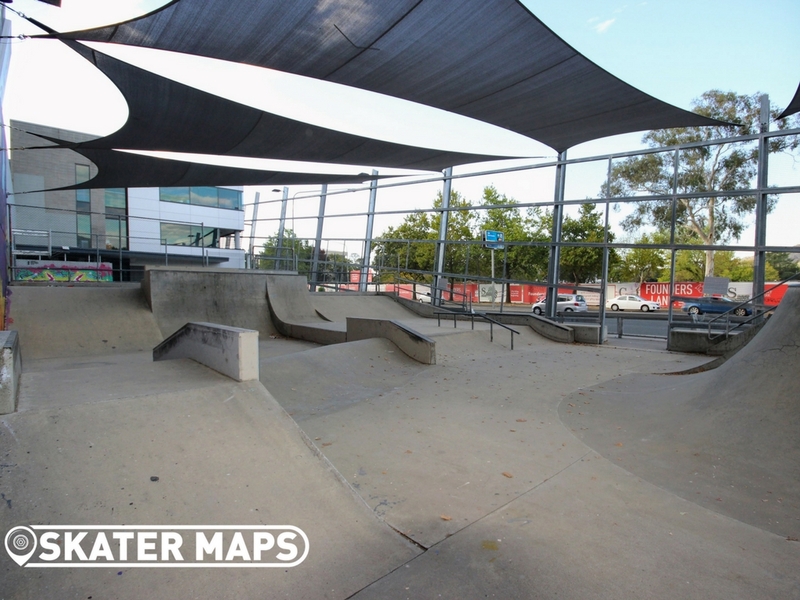 The Yard Skate Park features a mini ramp and curved shaped bowl extension at one end that makes it heaps more versatile and enables you to link lines and use it almost as you would a conventional bowl. 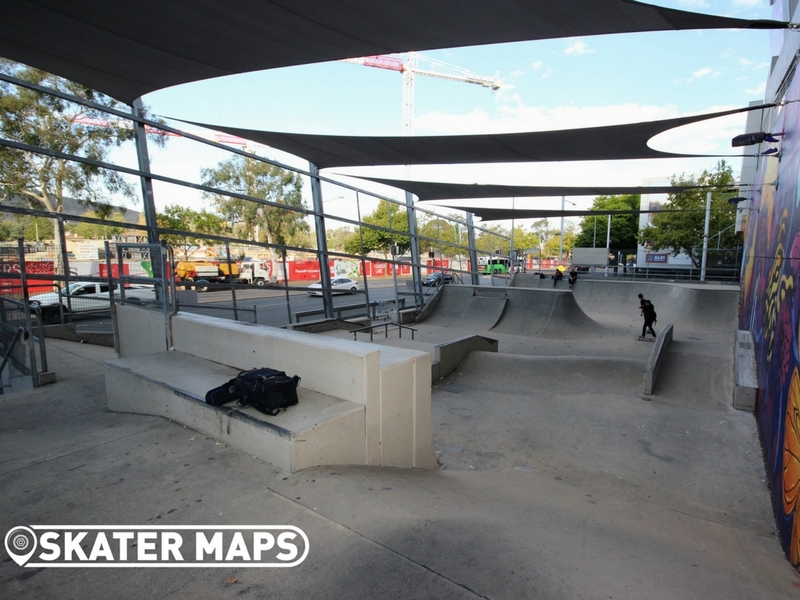 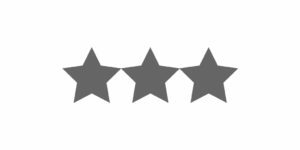 It is also a great link into the rest of the park that creates a good flow through the entire space and a couple of hips. 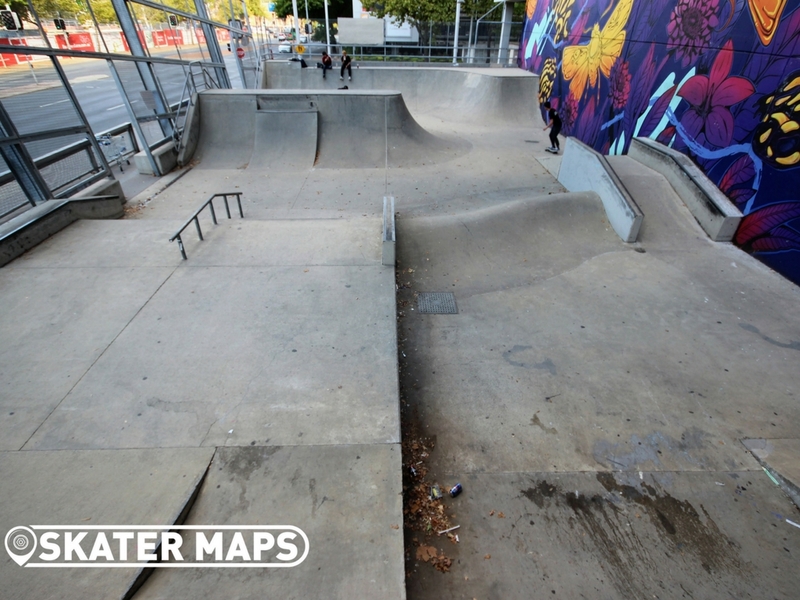 There is a small street section with ledges, rails, quarters and banks. 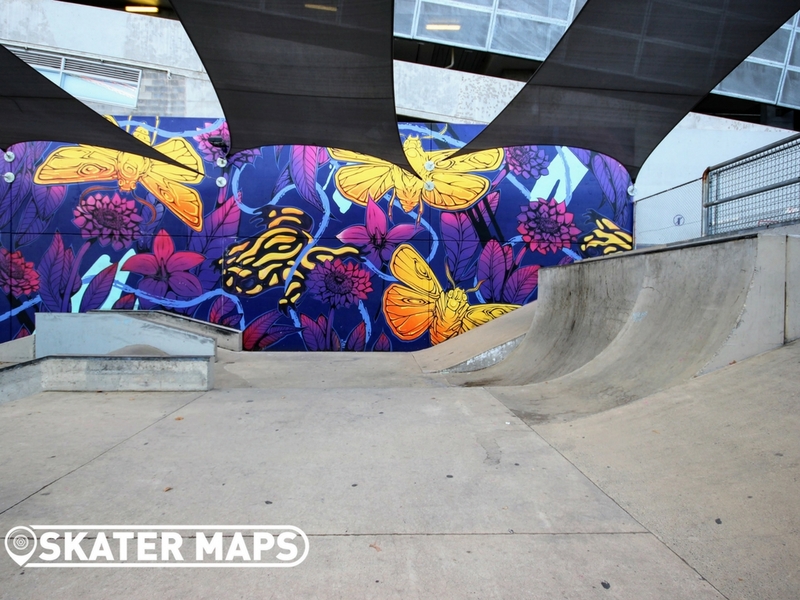 The steel fence makes you feel like you are exercising in a prison yard, however the street-art makes up for the caged environment. 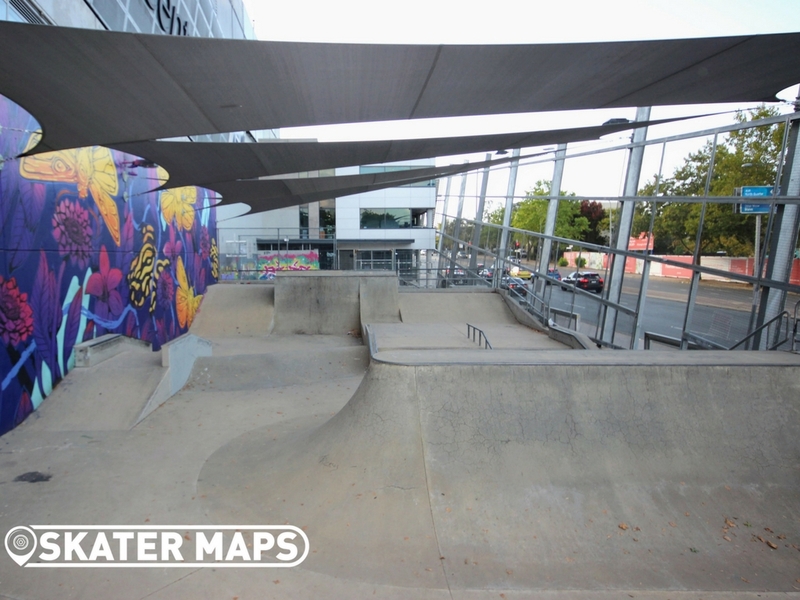 When you are next in Canberra, The Yard Skate Park is worth checking out and rolling around.